Mr. Stone: She [the supervisor] have picks, certain people she do certain things for. She don’t think I’m smart enough to know that, but I told her just because I didn’t go all the way through school don’t mean I’m no fool. I know what be going on. She told me I notice too much. It’s not the idea that I notice too much. If my eyes see it, I can’t help but notice it. Edward Stone works as a housekeeping aide in a large urban, public hospital in the Southeastern United States. In 1989, he attended classes in a workplace literacy program designed to improve his basic skills. Mr. Stone’s goals in attending the program included passing the General Education Diploma (GED) and earning a promotion to the hospital’s Security Department. But although Mr. Stone attended classes faithfully for the duration of the nine-month program and made considerable improvement in his reading and writing skills, he is still, as of this writing … , scrubbing floors and cleaning bathrooms in the hospital. Mr. Stone’s story, moreover, is not an isolated anomaly in an otherwise efficient process of ongoing worker education and advancement. Unfortunately, it is all too typical of current conditions in the American workplace. Mr. Stone’s story tells us many things. It is at its core a tale of the tragic waste of human capability. When we ask why Mr. Stone has not advanced at work, the most common answer is that his skills are deficient and he lacks the credentials (a high school diploma or a GED) to successfully advance beyond entry-level work … . While this analysis has informed much of the nation’s current educational policy, it explains only a portion of what needs to be fixed in the American work-place to ensure entry-level workers of adequate wages and decent work. It offers at best a distorted and inaccurate picture of the Mr. and Ms Stones in the American labour force because it fails to acknowledge what they do know, how they use (or do not use) this knowledge at work, and how the environments in which they work are neither constructed nor chosen as sites to display the many skills and abilities they possess. … I suggest another interpretation of Mr. Stone’s story, and in the telling invite readers to reconsider American workers and their literacies by exploring two questions that are rarely addressed: In what ways do American educational policies and workplace structures contribute to men and women like Edward Stone remaining in entry-level jobs for a lifetime? 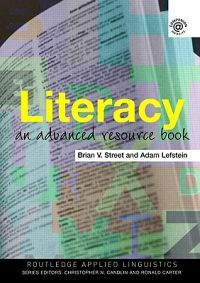 And why is it that in a time of staggering economic and social change, workers’ literacy levels are blamed for the economic distress of the nation? The background for this story is familiar to many who have studied work … , but it is important to revisit this background to link it to national educational policy. At the turn of the century, American workplaces were reordered according to principles of scientific management. Frederick W. Taylor devised this system as a way to organise large numbers of the population into efficient assembly line workers … . As we know, the assumption behind Taylor’s method was that tasks should be broken down into their simplest, least intellectually demanding forms. Workers then were trained to perform these tasks with mechanical efficiency. In the Newtonian sense, workers literally became extensions of machines, fine-tuning their individual skills to perfection. But Taylor’s methods were more than merely prescriptions for performance. They were also part of a sweeping social reorganisation of the workplace that took both the application of personal knowledge and the control of work away from workers and placed both in the hands of professional, highly educated managers … . Thus Taylorism not only produced an efficient workplace but also a hierarchy with high-wage, well-educated managers overseeing pools of low-wage, high-turnover workers who needed only basic educational skills to perform their work. American schools, in their roles as educators of the future workforce, adapted many of Taylor’s methods. Thus, for the masses, education has consisted of the skills needed to perform well in a highly industrialised economy. These skills included basic content matter with a heavy emphasis on obedience, punctuality, good manners … . Problem-solving, critical thinking skills, and other forms of more creative reasoning were generally left to the elite classes who would fill managerial positions. Rather than being a failure at education, then, it could be argued that our schools have, through scientific, discrete, isolated instruments of precision in curriculum, pedagogy, and assessment reproduced the industrialised model that has driven the economy. Standardised tests, tracking, basal readers, and pull-out programs all echo Taylor’s model of separation, segmentation, hierarchy, and control. The application of scientific management in the classroom has also disenfranchised teachers and parents, extending the effects of the general disenfranchisement to much of the working class . .. Since the end of the 1970s, however, global economic linkages, technological advances in production and communication, demographic shifts, and a decline in the birthrate have come together to create national alarm over the economy. Yet, even though there is growing awareness of the need to reorganise the workplace in the schools, much of the ‘public discourse’ has chosen to focus on the literacy levels of the current workforce and the ‘failure’ of the schools as the problems that must be solved in order to make America great again. What this discourse accomplishes is a casting of blame for the ultimate flaws in Taylorism and industrialisation and the nation’s resultant inability to compete in a more competitive and sophisticated global economy directly on American workers and the schools that have educated them. But, if we accept the argument that schools have successfully produced workers for an industrial economy—minimally educated workers who perform well in assembly line work—then blaming those same schools for not producing workers who have adequate literacy skills for more complex (post-industrial) jobs distracts the public from the simple fact that American businesses are in trouble for a wide variety of reasons that have nothing to do with worker illiteracy. These reasons include, but are not limited to, outdated and ineffective managerial practices, enormous economic disparities between workers and managers, institutionalised racism and sexism, shrinking benefits, loss of decent, full-time work, increases in work-related stress and injuries, and deeply rooted hostilities between labour and management. When the national conversation is not sniping at worker illiteracy, it is touting the need for massive workplace change, often referred to as restructuring, re-engineering or re-inventing. These transformations are derived from new theories of management and work procedures and have created a vast emerging market for publishers and consultants … Theoretically, in this new model, workers are valued as members of a democratic community committed to long-term achievement based on continuous learning, shared problem-solving, and participatory management. Some of the strategies generally recommended to accomplish this transformation include programmatic changes to achieve ‘high performance’, such as cross-training, chain-of-customers, and (Just-in-Time (JIT) inventories as well as more organisational changes, such as becoming a ‘learning organisation’, with flattened hierarchies and worker ‘empowerment’.. . I would like to suggest that many entry-level workers already possess important skills and knowledge that are needed in more participatory work organisations, and that management is unable, because of its privileged and isolated position in the hierarchy, to recognise this.